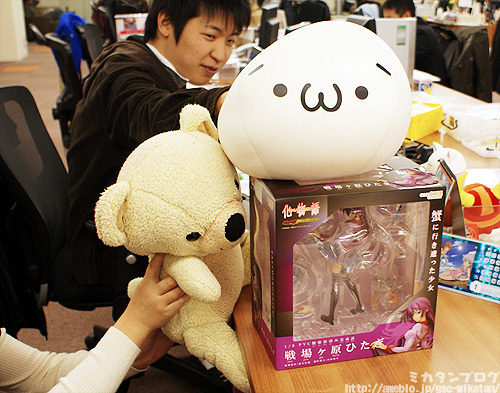 Both the (´・ω・`) face and Teddy have been waiting for ages too! But I’m sure all of you have been waiting even more patiently than them… especially after seeing her displayed all over at events…. 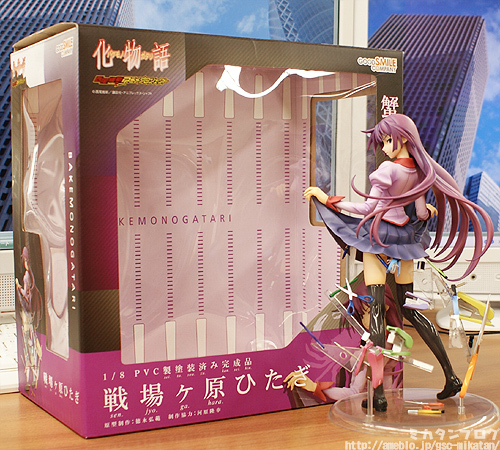 It’s the girl who was possessed by a crab from the popular anime Bakemonogatari! 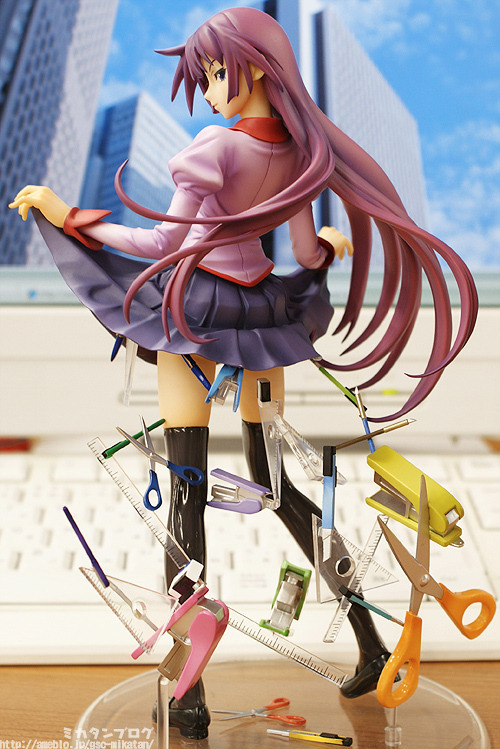 The pose is based on a famous key illustration from the series – a very unique pose which places her looking over her back with various pieces of stationary falling from her skirt.
.　／　（ー） （ー）＼　“I just can’t put it into words! But at the very least I can go cover the figure for everyone! This is how she looks from the front! 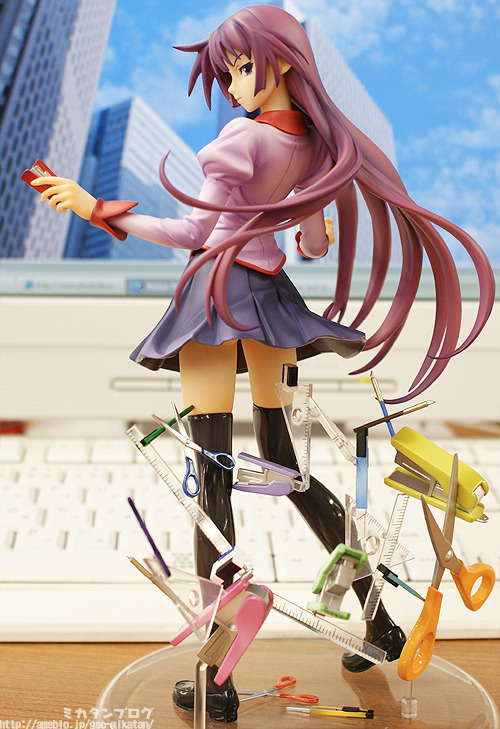 The figure is actually designed to be displayed with her facing backwards… but it looks nice from the front as well! It’s a rather strange feeling to not be able to see the figure’s face when looking at her from the front, but it’s a nice change! It’s not often you see a figure with a face in profile like this! Getting the posing of this figure right was apparently quite a challenge! Here is the face from the front! Oooh…. the more angles you look from the more beautiful she looks! Getting the figure to look right from the front and the side was apparently very difficult! 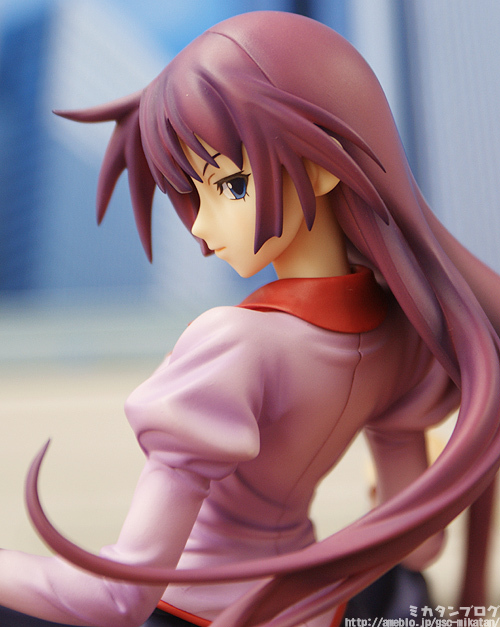 Most figures feature the face at a slight angle or directly from the front, but this one really focuses on getting the posing of the profile face down right. Of course the rest of the figure still looks great as well! It’s also great to be able to see the front of the figure which was never visible on the original illustration… the sculptors have really outdone themselves this time! But the face definitely isn’t the only thing to enjoy! Look at the detail on her uniform! 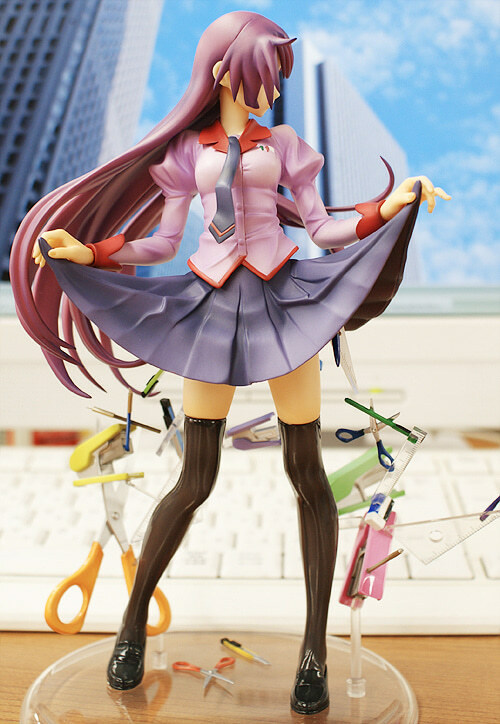 Getting her into a pose like this where she is holding up her skirt is hard enough, but even the details on the pleated skirt, and the creases from being held up look so realistic! It looks just like a real skirt! We can’t forget her stationery! Yet another highlight of the figure! Every single piece of stationary is very detailed! 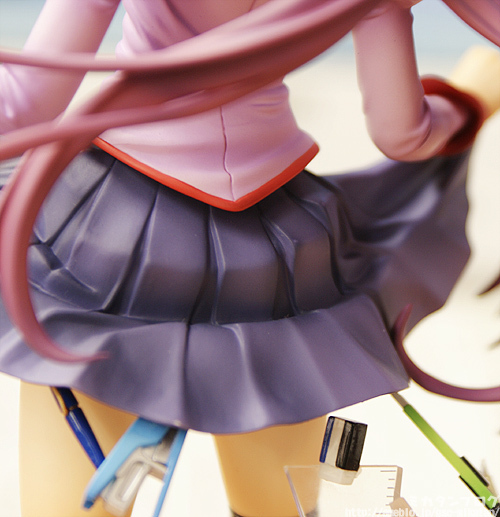 I-I mean… look at that craft knife inside the skirt! Can you see the craft knife behind the drawing triangle? Even the details inside the skirt are incredible! That’s Good Smile Company for you!!! The stationery on the right! The scissors really stand out, but there are also a couple of cutters and even a finer craft knife at the very back! The stationary on the left! 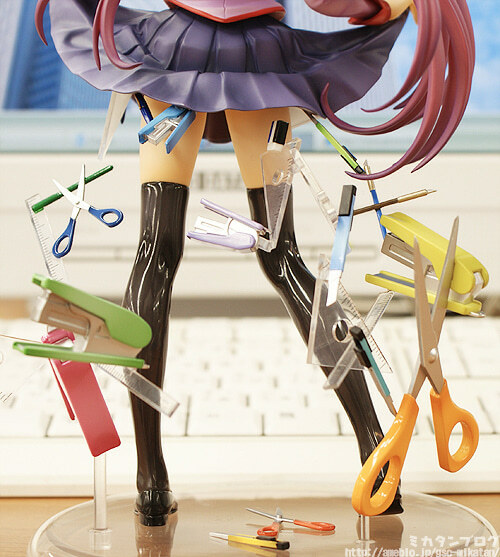 Look at the detail on those staplers! And look at the pen on the far left! Even the tip of the cap is painted differently! It’s incredible! … comes with two sets of hands! 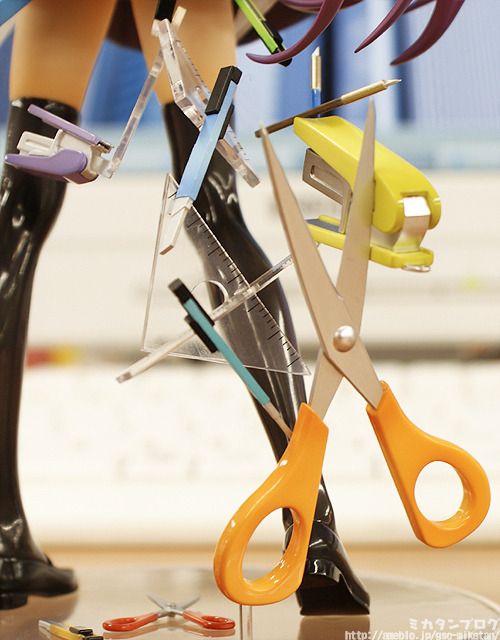 One to hold her skirt up, and another holding staplers in both hands! Even if the pose stays the same, it’s nice to be able to give the figure a little change of atmosphere like this! 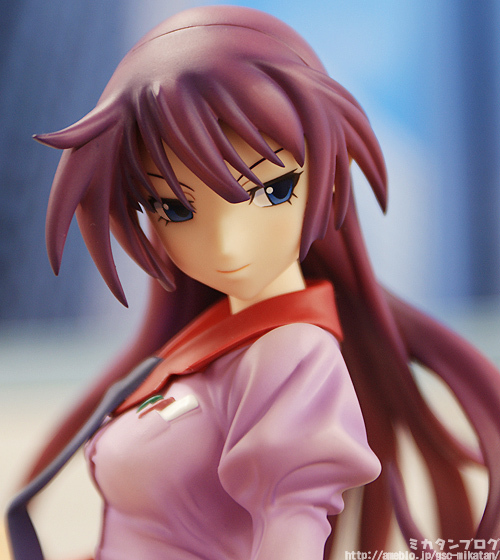 You can pick whichever you prefer when you display her! This particular packaging is sure to make fans of the anime crack a little smile! Be sure to look all over the box! She will be at our partner shops from the 12th! * Please note that this blog’s contents is originally written for aJapanese audience and is then translated for our foreign customers. All pre-order and release dates are the Japanese dates. Also note that not all products can be sold in certain areas.